Baking Chocolate Chip Cookies. Mixing Bowl With Flour, Eggs,.. Stock Photo, Picture And Royalty Free Image. Image 3251332. Stock Photo - Baking chocolate chip cookies. Mixing bowl with flour, eggs, chocolate chips and butter. Baking chocolate chip cookies. 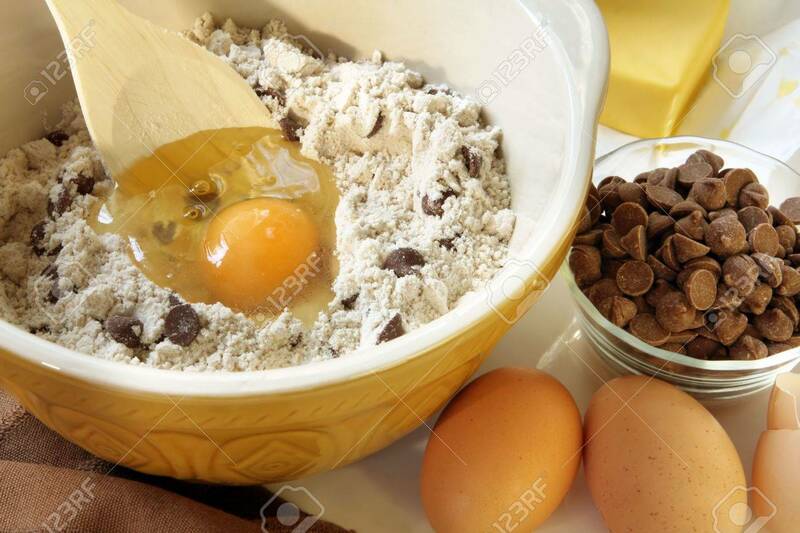 Mixing bowl with flour, eggs, chocolate chips and butter.